This fantastic book is an easy read and explains clearly the benefits of therapeutic riding. The author, Anita Shkedi, is a PATH Int. member who founded therapeutic riding in Israel and has presented at PATH Intl. conferences. 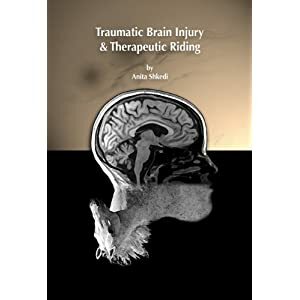 The book is titled Traumatic Brain Injury and Therapeutic Riding but goes beyond TBI and includes important insight of the benefits all riders receive. Shkedi has done an amazing job of putting together factual, scientific information with personal observations and explanations of the beneficial outcomes of therapeutic riding.